We were sitting in the heart of the old city. It’s summer here, it’s almost on the equator. In the evenings the cool ocean breeze makes life different. The evening is the best time of the day to go out, public space becomes alive. Everybody is sitting outside, the new square on the old harbor has skaters on it, bikers, dancers. The terraces all over the city are filling up. It’s dark though, dark but wonderful. I am here to discuss public space in Recife. The street is called the “Rua do Bom Jesus”. Our meeting space is next to the oldest synagogue in the Americas. For a short time the street was named “Rua Dos Judeus”. That was when Mauricio de Nassau was governing here, between 1636 till 1654. Maybe it is thanks to Mauricio that I have been invited. This German prince, who was working for the Dutch West India Company, had the idea to build this city here. It’s design had to remind of Amsterdam, directly on the ocean front. With lot’s of water and houses on the canals. For me Amsterdam is far away. For them it must have been much further. Mauricio (Maurits in the Netherlands) was summoned back to Holland and lived for some years in the Mauritshuis in The Hague, directly opposite to the Dutch Parliament. It’s now a museum where I once saw some of the Brazilian paintings that were made during his time. The Portuguese took over in Recife, but more than 350 years later it feels like some of that energy of diversity and liberalism that was brought by Mauricio is still here. Brazilians don’t live in houses on canals. Due to many different circumstances a typical way of living has developed. Brazilians prefer to live in an apartment building. A building with a fence and a concierge on the ground floor, where also the parking is situated and some common facilities. 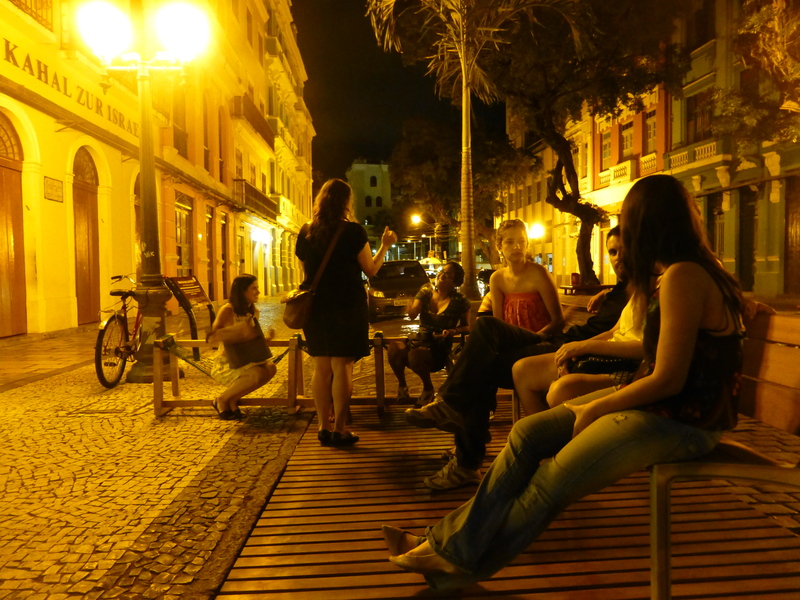 In a city like Recife there is a shortage of safe and usable public space. 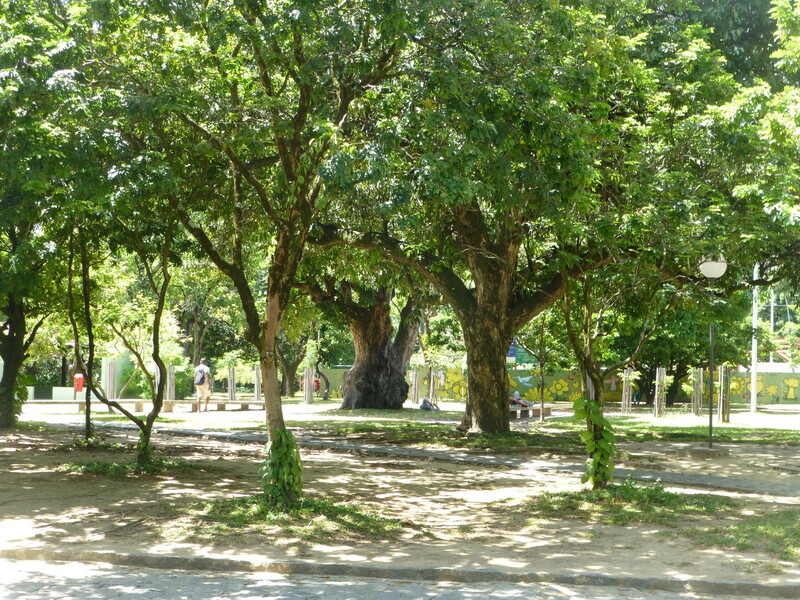 Recife has its parks but not all of them are functioning well. The initiative has been taken to create a huge park on the borders of the river Capibaribe. I’m here to discuss the plans and the strategy. The success of a park (like any other public space) depends mainly on two factors: the quality (which is the attractivety) of the place itself and the connectivity to the rest of the world. A huge linear park can never be attractive everywhere. It has to consist of corridors and connections and should be a collection of interesting public spaces. Each with it’s own quality, each in a way different, but all in the same language. I give my lecture on the top floor of a local bank. The room is half full. But everybody who’s there is very interested. For me the future park and the future public space has to be seen in the light of the attractivety of Recife in the coming age. As a means to connect to the talented people. To offer the quality of life to make them stay and invest their talent in this city. The public space is the perfect area for people to meet. To develop talent, to achieve creativity, to be able to meet the other in a safe way is the first requirement. The park should have strong connections to everybody in the city. Generally speaking: the poorer the area, the less public space there is. The new park has to give the opportunity to connect to everyone who is living in this city. The next day we have a workshop in a room downtown, next to the old synagogue. It’s Friday. That is normally not the day that many people show up for a workshop, it’s the beginning of the weekend and it’s a special weekend here, where many people have a short vacation. But it’s amazing to see that the room is completely filling up later in the afternoon. New people arrive, the same questions are asked: what should be the strategy, how can you make a plan that takes many years to build it, what can we do tomorrow, how much money do we need, what about maintenance, where shall we start? An important conclusion is that Parque Capibaribe is much more about defining common goals and a common strategy then about making a definitive design for the whole park. My idea would be to start improving the existing public spaces that will also be part of the future park. To create as many connections to the water as possible but also to make many bridges. Not only over the river, but also to cross the adjacent infrastructure that disconnects the park from the poorer neighborhoods. And to start by any means to clean the water, to use the water. Every step that makes the water better makes the future park better. Use the water to row on it, to swim in it, to put boats on it. The river gives the name to the park, the river is the heart of the park, the river and the park are one. Because it is a long term project it could be a good idea to develop a design language for the park and put that in a design solutions catalogue. This can be a very useful to create the park over a relatively long time. That design catalogue should also have the vision for the park in it, which is the answer to the question why you are doing it. A project like this needs a strong advocate. 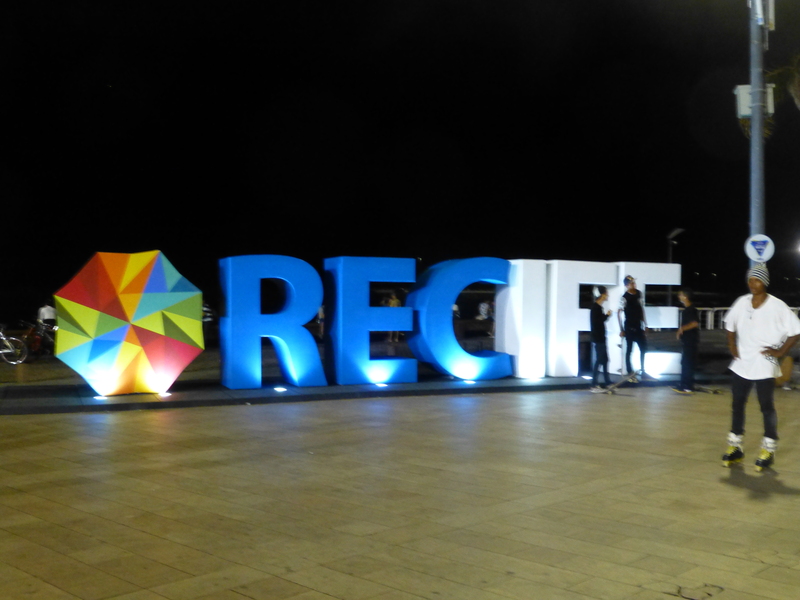 It’s not only about building it, but it’s also about capturing the hearts and minds of the people of Recife to make them really want it. The strong advocate can be a politician, but there is a risk there when the political spectrum changes. When the political spectrum is polarized it could be better to find some one else. The park is a place that has to be used by everybody, which means that everybody has to get involved. The strong advocate has to be able to communicate and to connect. The park in the end should always be about connecting: the city to the river, the old to the new, the past to the future.